 Felicita’s own Happy Hours, now Monday through Friday! What about Saturdays, you ask? On Saturdays it’s Happy hour pricing ALL DAY! Felicita’s Battle of the Bands Returns this Fall!! Friday nights starting Oct 19 in the fall semester is round 1 of our year long Battle of the Bands (Subsequent rounds are Jan – April 2019). Grand prize is $750, a day in a recording studio with a tech and a guaranteed paying headlining show the following year! All band members must be 19+. if you are interested please read the contest rules and complete the application form and sent it back to manager@felicitas.ca. Felicita’s Raising the Bar Competition Returns this Spring!! Saturday nights we are hosting our Raising the Bar event competition again! Open to all registered UVSS Clubs and Course Unions, if you think you and your group has what it takes to throw the best party at Felicita’s check out the Contest Rules and fill out an Application to enter to compete! The grand prize is $500 to your group! please e-mail your completed application to manager@felicitas.ca by Sept 18 to be considered, the top 7 application will get a date!